Obituary for Michael George Garbe | Stone Funeral Home, Inc.
Michael George Garbe, 67 of Petoskey, died August 2, 2018 in Petoskey. Michael was born on Oct. 16, 1950 in Detroit, MI, the son of Paul and Catherine (McIntyre) Garbe and was a graduate of Ferris State University. He was a Chief Petty Officer in the Coast Guard, serving 12 years as an active serviceman, and 16 years as a reservist. On June 21, 1969, Michael married the former Barbara Paquette in Anchorville, MI and moved to Alaska to serve in the US Coast Guard. They eventually settled in Petoskey where Michael operated a dental laboratory with his son, Toby, for 34 years. 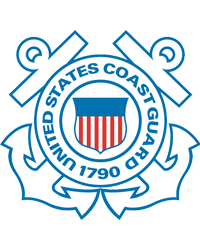 He was a member of the Chief Petty Officers Association and the Fraternal Order of the Eagles in Petoskey. Mike was a loving husband, father, grandfather and dear friend. 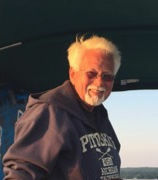 He loved fishing and hunting, traveling with his wife Barb, enjoying the outdoors, and above all, just taking the time to chat with family, friends and colleagues. He will be dearly missed by all. He is survived by his wife, his daughter Tracy and her husband Steven, his son Toby, four grandchildren, his sister Luanne, and many cousins, nieces, and nephews. He was preceded in death by his parents and by a brother, Paul. A memorial gathering will be held on Friday, August 10th at the Stone Funeral Home from 5-7pm.